Why do you do what you do? Who are you trying to help? What specifically are you going to do to help them? These are some of the questions that you’ll need to answer to have a clear vision for yourself and your business. These are the backbones for your Mission Statement. A Mission Statement is a short statement that defines what you do (services), why you do it (core values), and who you are doing it for (customers). A carefully constructed mission statement will provide clarity, direction, and purpose for your business. It guides your decisions and allows you to make sure that everything you do fits within your ideals and principles. In order to be successful in the fitness business, it is not good enough to dream and wish for it to happen. You have to work for it. And the sooner you identify exactly what it is you are working toward, the faster and more strategically you can get there. Hustling with no clear vision or direction is just like trying to lose weight by wishing for it. It doesn’t happen by chance, and regardless of how bad you want it, nothing will happen unless you create a plan to do it. 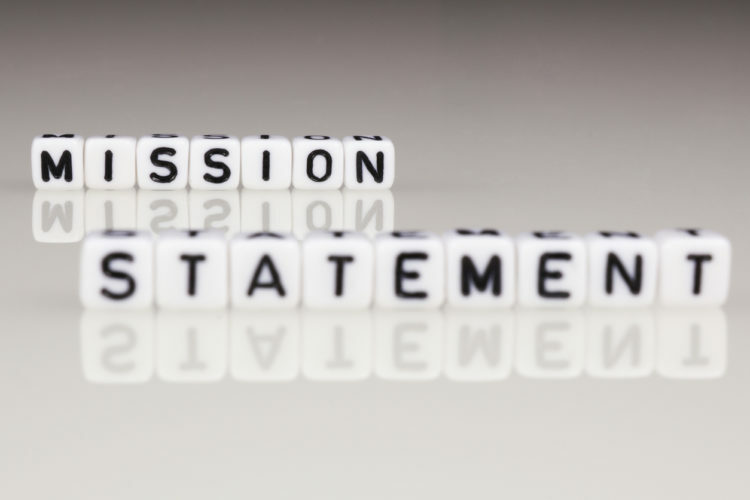 There are a few key components that you need to think about before writing your mission statement. Here are the steps I use to help trainers develop their mission statements. Your core values are the foundation for your mission statement. Without having them clearly defined, you have no basis for your business. Your core values can be short one or two-word phrases that matter to you. And they should not be chosen lightly. Each core value should be something that you are not willing to negotiate. Here are some questions to answer to identify your core values. What are the principles you value in health and fitness? Challenging the status quo. Integrity. Honesty. Work ethic. These are some of the core values that I believe in. They allow me to better identify who I want to work with, and how I will provide services to those I work with. Why did you choose fitness as a career? Personal stories of transformation and health-related scares are some excellent reasons to share your passion with others. Being able to clearly state these reasons will help you connect with your core customer base. Whether you are an independent trainer working out of client’s homes, or part of a large health club’s team, you need to know what it is that you are offering. Here are some things to think about when writing out what you do. What do you specialize in? Corrective exercise, sports performance enhancement, weight loss or any of a number of other specialty services. How do you deliver your services? One-on-one, small group sessions, and online training are very common ways to deliver your expertise. Or maybe even a hybrid. How much do you charge? Package discounts or program pricing? Or some combination of the two? Where do you train? Make sure your potential clients know where you are located or where you provide your services. What website/social media services do they use? What type of fitness goals do they have? The more detailed you get in identifying your ideal customer, the more laser-focused you will be in finding them. Now you have all the pieces, so it’s time to put your mission statement together. Here is my mission statement for my business coaching services. This one is simple. ALWAYS. In every interaction you have, you should be telling people your mission statement. You never know who you may meet and how your mission statement may resonate with them. Put it on your business cards, in all of your marketing, and repeat it often. Oh and one more thing, your mission statement will evolve over time. Make a plan to regularly review your mission statement- consider an annual review on your birthday or another significant business date. It is a dynamic idea that will grow and change as your career continues. So don’t fight that. Embrace it.